If you want your business fast grows up, it’s impossible to use anymore fax or email copy/paste. You should connect in real time your information system to your partners. To attach your products to your Logistics Center, go to Product Connector tab and add it. 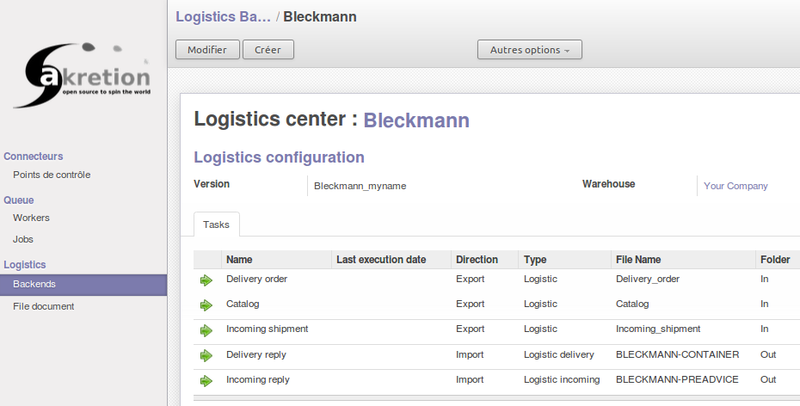 Optionnaly in this screen you may share products information with several partners: Sub contractors, external warehouses, etc. 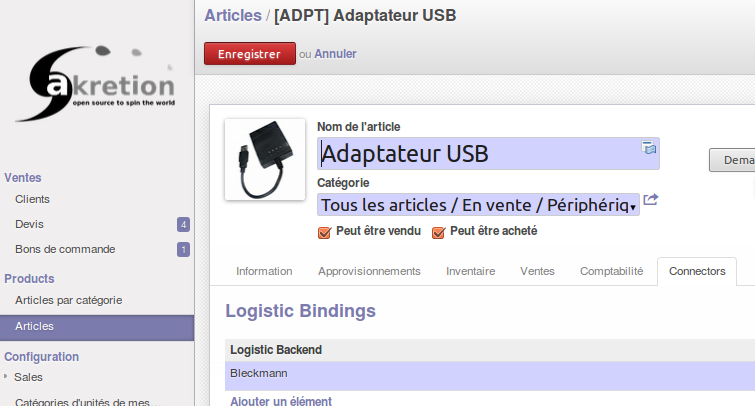 To send your product catalog (only products attached to this backend) to your logistics center, just click on Green right arrow near ‘Catalog’ like here. 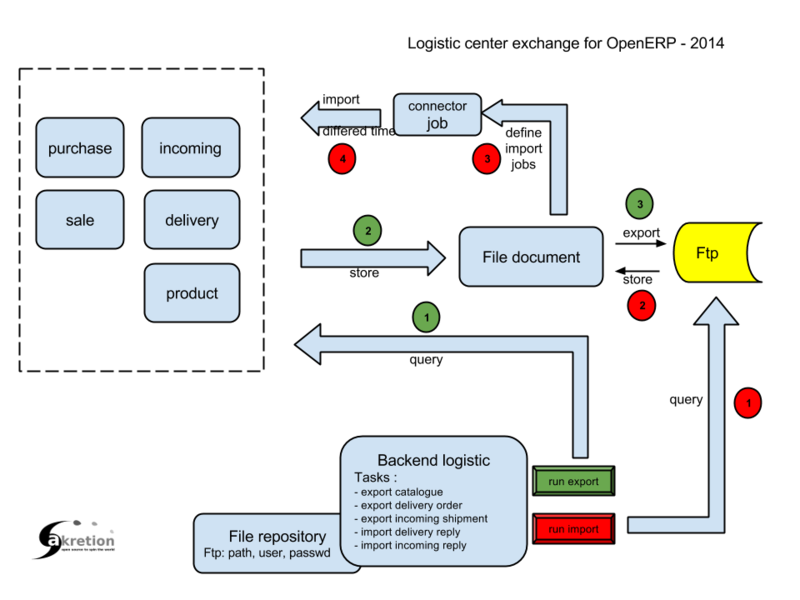 In the same way you can send files (triggered by a planified task) for other flows: incoming, delivery order. It’s required to care of send only the right informations to your partners. To ensure it, you need to manage checks and alerts on Sales. 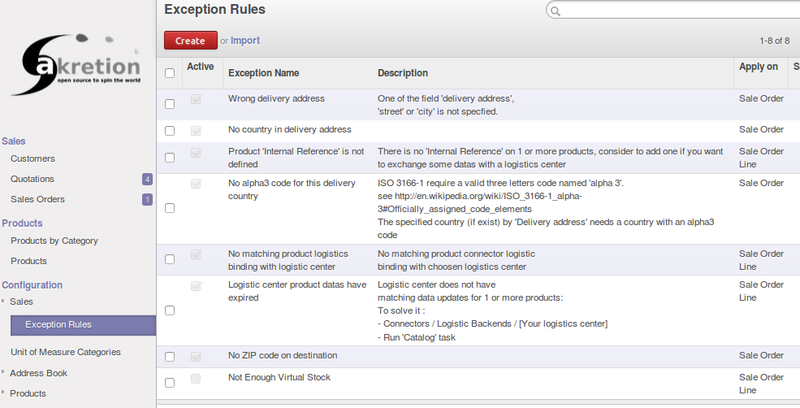 Just customize existing Exception Rules or create others like here.